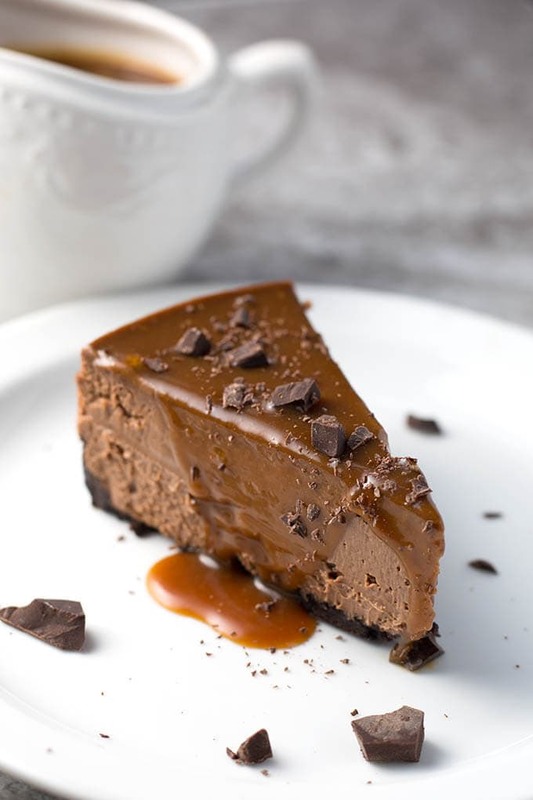 This is an amazingly creamy Instant Pot Chocolate Cheesecake that is so rich and delicious. This pressure cooker Chocolate Cheesecake is chocolatey, creamy and just so YUMMY! Chocolate cheesecake made in your pressure cooker! How cool is that?! A few years ago my siblings and I did a “staycation” here in Washington. We decided to go to Seattle and stay in a hotel and just be tourists for a couple of days. Now, when I say siblings, I mean in-law siblings, and there are 14 of us! Paul is the youngest of seven! So with the spouses, we number fourteen! Oh, and I’m the youngest. Just thought I’d mention that (hee hee, I know they will be reading this). We get together often, and always have a great time together. We do all kinds of things, and it is very special. We don’t fight, and there is always something to talk about! So during our Seattle staycation we ended up at a local chocolate factory! How cool is that?! We got to go on a guided tour and learned all about the chocolate, from where and how it’s grown, harvested, processed, to the final tasty products. The name of this chocolate company is Theo Chocolate. “Theo” is from the actual name of the tree Theobroma Cacao. This is a special company, and they are organic, Fair Trade, and just so great! I have always loved their chocolate, and it makes a difference in so many people’s lives. Visit their website to learn a lot at theochocolate.com! The tour is so fun, and you get to sample the chocolate. I couldn’t believe how much I learned about not only chocolate, but the people involved in the whole process. It’s really a great story! 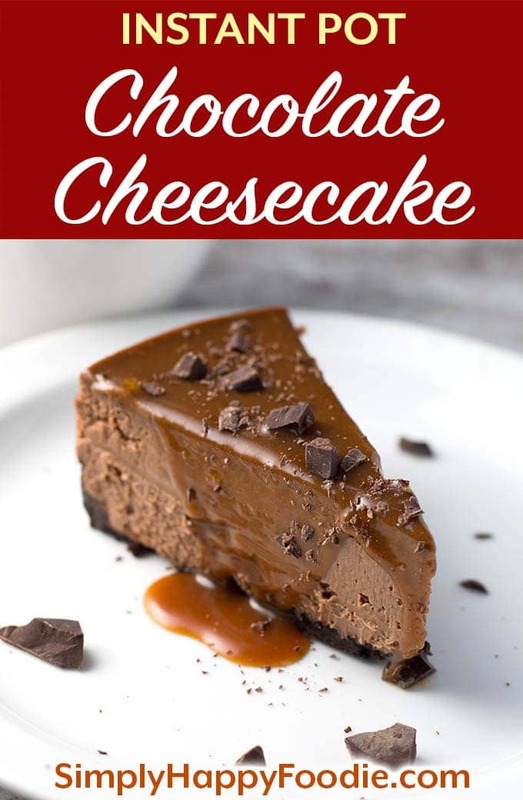 I mention Theo because that is what I used in my Instant Pot Chocolate Cheesecake! I just chopped up the bars and measured a cup. I mixed 85% dark chocolate with the 45% milk chocolate. You can just use chocolate chips, or whatever chocolate you love! I want to say that Theo is not paying me to say all of this about them, in fact, they don’t even know I wrote this post. I just love them and am proud to have a company like theirs in Seattle! 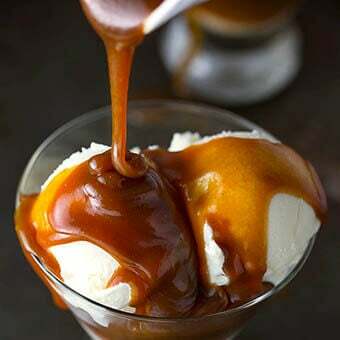 Try my Caramel Sauce, you won’t regret it! 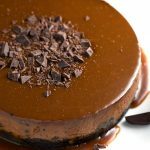 Instant Pot Chocolate Cheesecake is so easy to make. It is chocolatey, rich, and creamy. 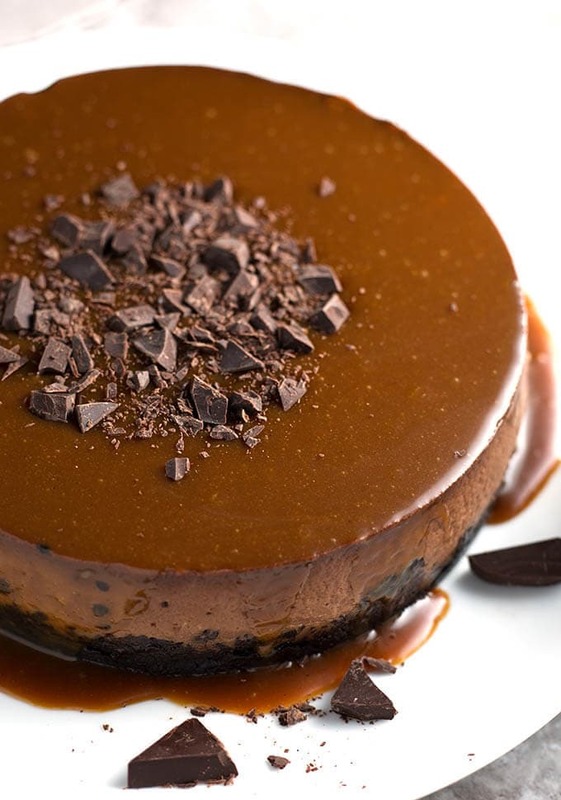 Chocolate cheesecake made in your pressure cooker! How cool is that?! Use a 7 or 8 inch cheesecake pan (I use a 7” push pan, but you can use a springform pan as well. Whatever will fit comfortably in your pressure cooker and hold all of the filling). Put the trivet/rack in the pot as well. Pulse several times until the cookies turn into fine crumbs. Add the cream cheese, sugar, and vanilla and pulse a several times until well combined. Then process until it's smooth and creamy. In a microwave safe bowl, add the chocolate chips and heavy cream. Heat for 25 seconds in microwave. Stir well and put back in for another 25 seconds. Stir very well again. It may take a couple minutes of stirring to become creamy, which is what you want. Let it cool to luke-warm, then stir in the espresso powder and add it to the cream cheese mixture. Add the cocoa powder to the cream cheese mixture and pulse a few times to combine. Then process until smooth and creamy. Press the Manual (or Pressure Cook) button and then the + or - button to choose 40 minutes. High pressure. When cook cycle ends, let the cooker naturally release pressure for 20 minutes. Then manually release the remaining pressure. Leave covered for a few minutes, then carefully peel off the foil/paper towel. Top with extra chocolate, caramel sauce, whipped cream, strawberries or other fruit, or a sweet sour cream topping (Cheesecake in photos has my Caramel Sauce poured over it. Very good!). This is a very creamy cheesecake. I think it tastes best after it has warmed up a bit. Almost to room temp. The texture is more creamy than cake like. 20 sandwich cookies , does that mean 20 wafers or 40 ? Hi Sali! Yay! That is a big compliment, and I appreciate that you took the time to tell me! Take care! 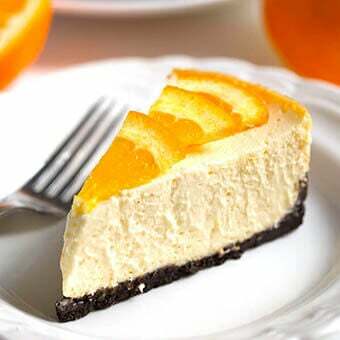 I’ve seen some cheesecake recipes for Instant Pot that have 50 plus minute cook time. Your pumpkin one calls for 50 minutes. This one is 35. Is that just because of the different ingredients? Hi Dennis! 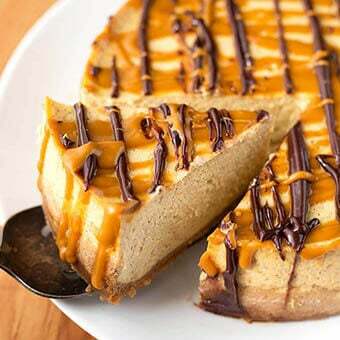 Yes, the pumpkin cheesecake has a full cup of pumpkin added to it, and needs that extra time. My New York Cheesecake is only 37 minutes. They all have their own variations, therefore, different times. Variables such as altitude and so on make a difference, too. Trader Joe’s has gluten free peppermint O’s out! I’ll try a gf version for my first cheesecake in the IP! Can you make ahead of time and freeze it? Will it taste the same after thawing? Cheesecakes do freeze well. Place the cheesecake (make sure it is cooled completely) on a baking sheet pan and put in the freezer, uncovered, until it is firm. Remove the cheesecake from the freezer, wrap it in plastic wrap, and then heavy duty aluminum foil, and place in a zip-closure freezer bag. Return to the freezer. 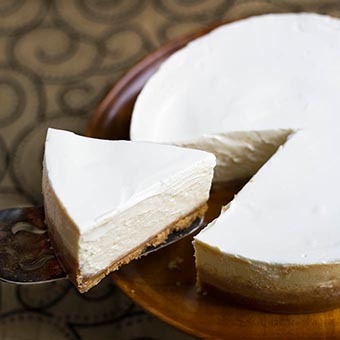 To thaw, take out cheesecake and let thaw at room temp. Is a previously frozen cheesecake as good as a fresh one? Almost. But fresh is always better! This looks amazing? How would one adapt it for a 6″ pan? Hi Lovella! If you line the side of your 6″ pan with parchment and let it come up higher than the pan, you can use all of the batter and the cheesecake will stay contained when it rises. You’ll need to cook it uncovered, which is fine, it just won’t be as smooth on top. Then add 5 minutes to the cook time. Can I make the filling using an electric mixer? I don”have a food processor, just a small food chopper (which will work for the crust). Hi Gorjean, yes, just add the eggs last and hand mix them in so they don’t get over mixed. The rest you can use the mixer. Hi Sandy, I made this cheesecake yesterday. I got distracted and only after I got it in the pan, realized that I had forgotten the cream. The batter fit perfectly in my 6 in pan, so I decided to cook it anyway. I did it according to directions and it set up nicely. 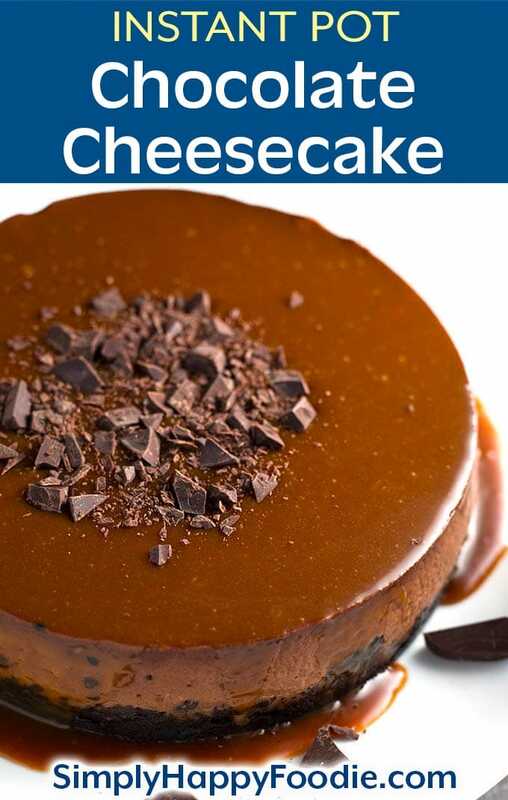 We tried it today, and it was the best Chocolate Cheesecake I have ever had. The crust was perfect and crisp and the intense dark chocolate flavor was outstanding. I need to make another, for an occasion this weekend, but since my guests prefer Milk Chocolate, I will try it with the cream. Thanks for the recipe and clear instructions. greetings from sunny Mauritius in the Indian ocean. Hi Chamila, I will work on getting some photos up. In the meantime, you can watch my Pumpkin Cheesecake video, which has a better explanation of the foil sling. Thank you for the recipe. This was my first instant pot cheesecake attempt and it came out beautifully. I then immediately made your New York cheesecake recipe too . New York cheesecake is my favorite dessert and there are a few popular instant recipes out there. I’m glad I went with yours first. So creamy. Again thank you for the great recipes. I can’t wait to try out all the cheesecake recipes that you have created. Hi Laura! I’m honored that you chose my cheesecake recipe as your first in the IP! I’m very glad you enjoyed both recipes! Thank you so much for your review, it is wonderful to hear from you! I am a chocaholic and will definitely be trying this recipe!! Hehe!! However, I did try making my first cheesecake in my cooker last week. It also had a chocolate crust. I just used Oreo cookies and did not remove the cream filling. It alleviated the need for the extra sugar as well as the cleaning of the processor for the next step. I simply put them in a ziploc sandwich bag and mashed them all up with a rolling pin, then put them in a mixing bowl and added the butter. Just a thought!! It came out great and tasted wonderful!! ? Hi Angel! I have seen that some people do this, so I decided to try it with my next cheesecake! I made your regular cheesecake, and the chocolate one. So yummy and smooth. However, even though I am from Long Island and had Lindy’s cheesecake many times, I still prefer a little denser cheesecake…just a little bit. I know, weird, huh? Anyway, when your cheesecake was done in my Instant pot, I removed the cover like you said, but left it in the cooker for another 20 minutes…haha, forgot that the keep warm thing was on. I was worried it would be like a brick, but no. It was just a little less creamy and a little more firm than yours. I then took it out of the Instant Pot and put it on a cooling rock and removed the foil and paper towel. PERFECT! let it cool to lukewarm and put in fridge overnight. To die for. Of course, the pressure cooking removes all the calories, right? Right? Thank you for the very best cheesecake I have ever eaten. Haha Emily! Of course the IP removes those pesky calories! I’m thrilled that you like my cheesecake recipe! If you add a couple teaspoons of flour to the batter it will be a bit denser, but it will always be different than one baked in the oven. Thanks so much for your review! I found I don’t need the “sling”. My 6qt has a trivet that has a handle on each side. No need to make the sling. That’s great! One less step! Can’t wait to try this recipe but I have a question. I live in Utah and usually follow the high altitude directions on a box cake mix. Would I need to do anything different for this recipe? Hi Sue, add 5% to the cook time for every 1000 feet above 2000 feet. So for 3000′ + 5%, 4000′ + 10%, 5000′ + 15%, and so on. Is this recipe for 6 quart IP? That’s what I have, if not what adjustments need to be made? It is for the 6 qt or 8 qt. As long as you use the 7″ pan for the cheesecake you can use either pot! I know this post is old but looked like there were still some recent comments. I was wondering what the purpose of the paper towel is? I am making this recipe but skipped the paper towel under the foul and am wondering if it will still turn out ok? Thanks! Hi Gem, the paper towel is not vital to the recipe. What it does is catch some of the moisture and keeps it off of the cheesecake. But honestly, you don’t even have to cover a cheesecake when you pressure cook it. If you do cook it uncovered, shorten the pressure cook time to about 30 minutes. 1) when the foil is placed, should it cover thr whole pan or just the top surface? 2) after the 40mins pressure time is up, should the “keep warm” function be cancelled whilst awaiting the 15min pressure release? 3) is there anything i can do to prevent my bad edges? I think it was to do with the edges sticking ti the sides if the pan and then breaking on cooling. Hi Reenam. First, the foil covers the top only. You can turn off the pot for the natural release. I use a baking spray that is for cakes and has a little flour in it. Cooling the cheesecake slowly helps it not crack, but you might also want to try less cook time, maybe 5 minutes less and see if that helps. This is our go-to cheescake recipe. I replace the chocolate with white chocolate and top with fruit topping. To die for!!! I would like to make this in an egg bite mold. How long would you recommend cooking it in the molds? I would like to do 1 batch of chocolate and 1 of white chocolate. Hi Kristen! Thank you for your review! For the mold I would try a batch at 8 minutes with a 7 minute natural release. Then you will know if you need to adjust for the next batch. I tried this recipe tonight. Did everything as directed and even securing the paper town with foil, the paper towel ended up resting on the cheese cake and it pulled up come batter when I took the foil off. Is this normal? No, you need to secure it taut and crimp the foil over it and it won’t touch the cheesecake. How do I adjust the cook time to make this in a 6 inch pan in a mini (3quart) instant pot. My6 inch pan is very deep and can handle the volume. Try adding 5 minutes to the cook time. I’ve bought a package of Oreo crumbs.. would you happen to know the weight of the 40 Oreo discs so I can match it up with the crumbs that I’m using? I’ve had my eye on this recipe for a while and I’d love to try it. Thanks! I weighed 10 of them and it came to 1.5 oz. So multiply that by 4 and you get 6 oz. This is without the cream filling. Do I cook on high pressure or low pressure? Would you still cook the chocolate cheesecake for 40mins if you have an 8in pan (in a 8qt0? No, I think I would reduce the cook time by about 5 to 8 minutes. I haven’t tested this, but it makes sense since you need to add 5 minutes for a 6″ pan. I use an 11 cup and that is plenty of room. Maybe you can use one as small as 8 cup, but I’m not positive. You can use a hand mixer if you have one. Can I make the cheesecake batter and then let it sit for a few hours before I cook it? I want to make it in the morning and then cook it in the afternoon to prep my afternoon this weekend. If that’s possible, could you recommend how to store it for those few horus? Thank you! Yes, just pop it in the fridge, and take it out about 30 minutes before you pour it into the crust and cook it.